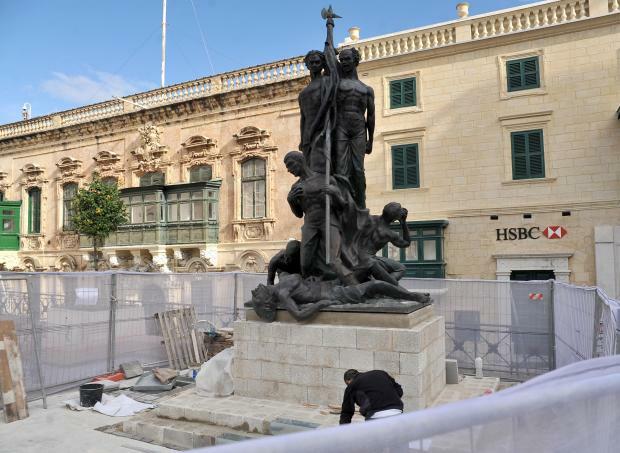 The monument dedicated to the men killed during the June 7, 1919 riots has been returned to St George's Square in Valletta. Loved and hated in equal measure, Anton Agius's monument had been shifted from its original place to make way for the embellishment of the Valletta square. The monument languished in storage for some time before being moved to Valletta's Hastings garden in 2010. But following a public consultation, the government decided to return it to the original place in front of the Palace.